Sabrblade wrote: If Prime Bulkhead dies, his will, without a doubt, be the most meaningful and best handled death of any and all deaths in TF: Prime thus far. I never wanted Dinobot to die in Beast Wars, yet look how superb and memorable it made "Code of Hero" be. 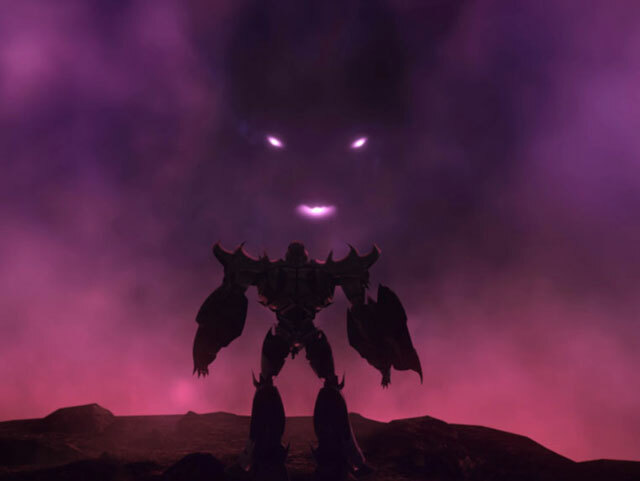 Sabrblade wrote: I never wanted Dinobot to die in Beast Wars, yet look how superb and memorable it made "Code of Hero" be. ^ I was coming in here to say Starscream can't die and you guys are already talking about him! I saw his Beast Wars appearance earlier, poor guy can't catch a break I tells ya! I agree, though, 'Screamers eyes are usually too big for his stomach. I agree with it being the most meaningful ,but getting back shot by Hardshell while running into the ground bridge made me angry for Bulkhead '..I always envisioned him being depleted/weakened in a gradual manner the way he was in Toxicity but I didnt want him finished off in such a cowardly manner ..
Just kiddin'. I've had that line in my head for about a week. Whenever someone's trying to smack talk, that's the go to line from now on. 'K?